EXCLUSIVE / On Friday (18 September), EU environment ministers will overcome divisions over the bloc’s negotiating stance for international talks to limit global warming, but are expected to warn that progress must speed up to secure a worldwide climate change deal. After they meet in Brussels, ministers will announce the bloc will back targets of a global 60% emissions cut by 2050, and 100% emissions reduction by 2100, despite the initial objections of countries such as Poland, Hungary, and the Czech Republic, according to high-ranking EU sources. The agreement is needed to ensure EU negotiators can push for a strong international framework to limit global warming to no more than two degrees higher than pre-industrial levels. The regime needs to be robust, because the chances of securing a legally binding cap on global warming at the United Nations Climate Change Conference (COP21) in Paris this November are very slim. 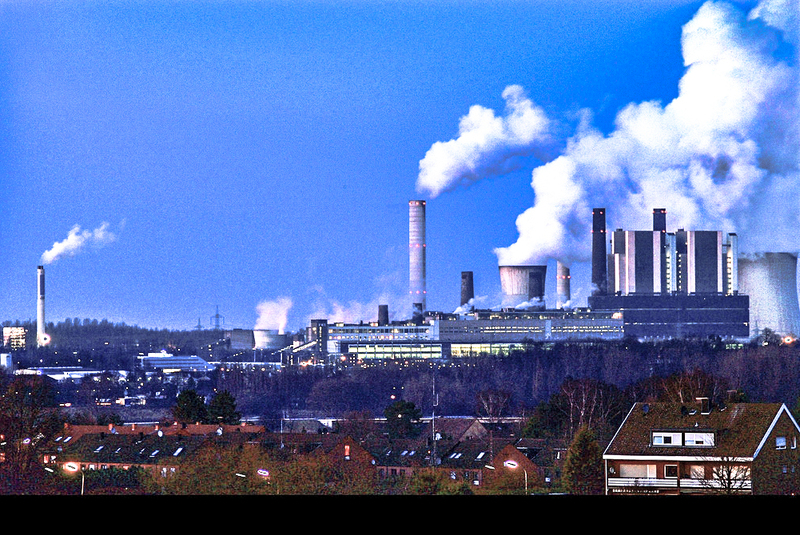 The US is one of two world’s largest polluters, along with China. One of the American red lines in the talks is that there is no legally binding international target. Such an international agreement would force President Barack Obama to submit the agreement to a hostile, Republican-led Congress. Instead, the US has pushed for a system where governments put forward their own pledges to cut global warming. This has backing from countries such as China and India. How often governments will meet to report on their progress and how to ensure countries regularly step up their climate pledges are up for negotiation in Paris. The US is pushing for five-yearly meetings on global climate change, which could clash with EU timeframes. The bloc usually sets ten year targets such as the climate goals for 2020 and 2030 and the ETS carbon market trading period is also a decade. More problematic is ensuring that government pledges made at regular intervals increase in ambition over time. This is necessary to prevent global warming hitting two degrees, and to stop countries simply putting forward similar or weaker goals. Draft documents for Friday’s meetings of environment ministers revealed some member states want to reword the Paris paper so it clarifies that countries with decade-long commitments still have to participate fully in the five-yearly process. Others want a no-backsliding clause inserted in the text. Liz Gallagher, head of London-based environmental think tank E3G’s climate diplomacy programme, said the EU’s role should be to “disrupt” any complacency from the US and China, the countries so far grabbing the limelight in the climate talks. Nigel Purvis, CEO of Climate Advisers, a Washington-based consultancy specialising in US climate change policy, agreed. The US has got what it wanted, Purvis said, which meant its diplomatic efforts had slackened. Gallagher said the EU could only reclaim a leading position in the talks by building better alliances with other countries, which it could only do through offering credible financial commitments to developing countries. But draft conclusions dated 14 September for this Friday’s ministerial meeting stressed that time to do that is running out. The Council of Ministers “notes the considerable amount of work still ahead in order to reach the Paris outcome”, and is “concerned about the lack of substantial progress on the negotiating text up to now”. There is just one more meeting of international diplomats scheduled before the COP21 conference begins on 30 November. It is in Bonn on the 19-23 October. The COP21 will last until 11 December. Gallagher warned that there may not be enough time to get the technical details right before leaders descend on Paris. “Ideally, there would be another one more round of negotiations than what we have got,” she said. Diplomacy towards the international deal was hampered by the lack of a common EU position on where to pitch the emissions reductions goals. Environment ministers, who tomorrow (17 September) privately meet Pope Francis – who demands an ambitious agreement in Paris – will clear that hurdle, sources said. “Eastern member states like Poland are not too happy about the idea, of course,” one high-ranking source told EURACTIV. In October 2014, EU leaders agreed that member states with the lowest GDP per capita will be given 10% of the global ETS quota allocation from 2020 on to modernise their energy production facilities. That was carried forward into the Commission’s proposal for ETS reform published in July, which has a specific fund and free quotas for eastern countries. The ETS is the world’s biggest scheme for trading emissions allowances. Regulated businesses measure and report their carbon emissions, handing in one allowance for each tonne they release. Permits can be traded on the markets as an incentive for companies to reduce emissions. The European Commission was pushing for a 60% global emissions cut by 2050 compared to 2010 in preliminary talks with environment ministers. This would bring a previously adopted EU global emissions target of 50% by 2050 compared to 1990 levels, in line with a new baseline adopted by the Intergovernmental Panel on Climate Change (IPCC). But some member states wanted to back a reduction range suggested by the IPCC of 40% to 70%, essentially weakening the earlier goal. In last year’s Fifth Assessment Report, the IPCC called for total global decarbonisation by 2100. That was backed by G7 leaders in Bonn, including France, Germany, Italy, and the UK. Countries such as Poland, Slovakia, Czech Republic and Hungary did not want to include this long-term vision in the EU’s Paris position but will now agree, according to sources. Some national delegations would like the EU to signal in the Paris talks that it retains the possibility to increase the level of emission cuts, in the framework of its 2030 climate and energy targets. In October, EU leaders agreed to cut emissions by “at least” 40% by 2030. It is unclear if that move will be agreed on Friday by environment ministers or will be traded away in the interests of securing the deal. But the feasibility of the EU’s pledge to cut emission by at least 40% was question yesterday (15 September) by NGO Climate Action Network Europe. The EU’s carbon budget for 2021 to 2030 could vary by a staggering 6 billion tonnes because important policy decisions have been postponed until after the Paris climate summit, it said. Climate Action Network Europe said the 40% cut would translate into the amount of greenhouse gases that the EU could emit from 2021 to 2030, which would vary from 37 to 43 billion tonnes. It called on environment ministers to tackle “the lack of transparency and accuracy” in the EU pledge. The NGO’s report cited the carry-over of surplus emissions in the ETS, accounting of emissions from forestry, the possible carry-over of surplus emission in non-ETS sectors, and the level of non-ETS emissions that the carbon budget will start on in 2021 as areas needing clarification.